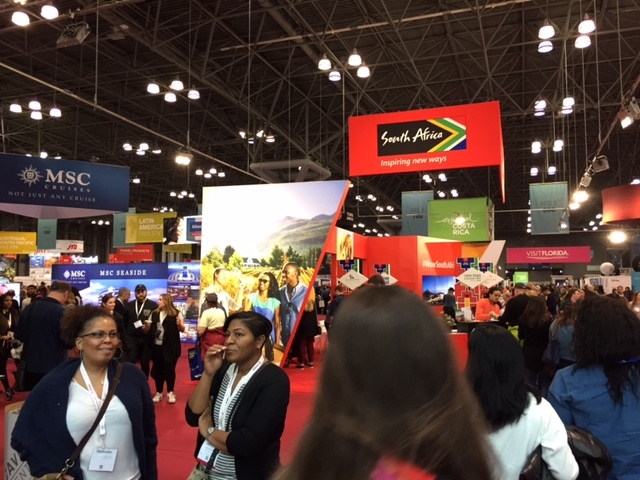 The expo floor, with booths organized by region of the country/world. After promising to publish an e-book travel guide to Portugal this year, I spent most of last weekend at The New York Times Travel Expo at the Javits Center in Manhattan. 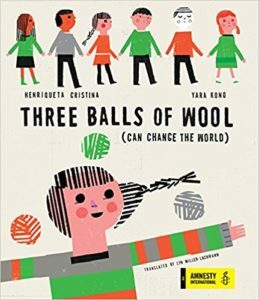 I’d hoped to get ideas for how to organize the book as well as for new destinations to explore when I’m in Portugal this spring and afterward. (I’ve already made one family heritage trip, so I have three more sides of the family to cover.) I came home with two backpacks full of swag (one for each day) as well as notes and contact information for a new direction in my travel writing. All in a day’s swag! 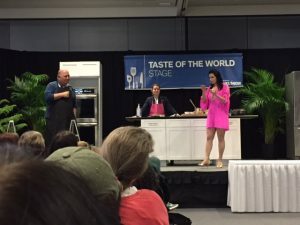 Along with hundreds of exhibits, the expo featured cooking demonstrations, traditional music and dance, presentations by New York Times travel writers, and one-on-one meetings with travel specialists. 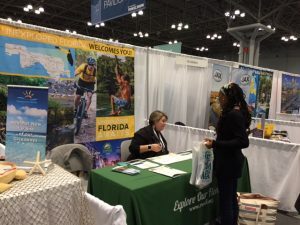 The presentations were useful for those who don’t read the Times travel section or other online resources religiously, which meant that I could move on to the one-on-one events. 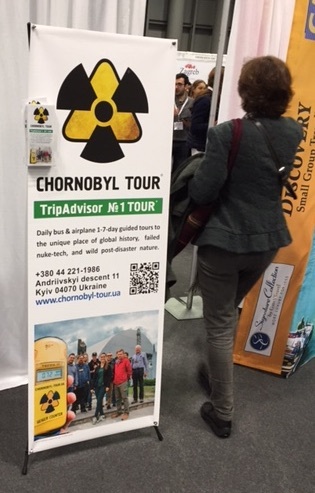 Not quite as unique as the Huffington Post article, but the Travel Expo’s entry into disaster tourism. For my Sunday one-on-one I met Nicole Thibault, the owner of Magical Storybook Travels, a specialized travel agency for families with disabled children. Thibault, who has a son on the autism spectrum, works with the Disney Resorts, other family resorts, and cruise lines to facilitate services and prepare all family members for the challenges of an unfamiliar environment. We talked at length, at times incorporating other visitors to the table, and in a few weeks I’ll run an interview with Thibault in which she offers specific advice to parents. In the meantime, you can check out both her site and that of Autismtravel.com, a site geared to parents of autistic children. I noticed that a lot of the specialized travel sites geared to disabled travelers focus on family travel and travel to all-inclusive resorts. While this makes sense, what about the adult traveler or the independent-minded with unusual and highly focused interests? The unusual, out of the way experiences can be very rewarding, as I discovered when I took the train from Vienna to Bratislava by myself last summer and spent the day in a place where I didn’t know the language (though I picked up a lot quickly) and which isn’t geared to mass tourism. This is a direction I’d like to explore further in my blog, and one thing I was looking for when I visited the various expo booths and collected my brochures. A Lebanese cooking demonstration with excellent tabouleh salad. 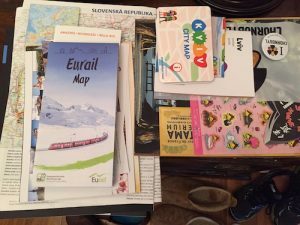 I’m still sifting through the information I collected and thinking about future posts focused on autistic travelers. One thing that came to mind is friendly places to visit versus places where people are more reserved toward strangers. I noticed some of that in the booths, without even traveling to the state or country. For instance, the people in the United States travel sections were friendly to the point, in some cases, of being intrusive — like the representative from the New Jersey resort who kept talking even though I needed to get to a session. 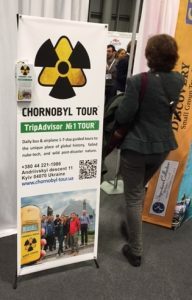 In contrast, the booth staff of three Central European countries that will go unmentioned (one a heavy tourist destination nonetheless, the other two not, for different reasons) took long breaks and/or did not seem happy to be there. Perhaps, though, these are good places to go if you like to be left alone. Another topic to explore is the group tour — welcome structure or forced conviviality? Most of the exhibits were sponsored by travel agencies that focus on group tours, including a number of ocean and river cruise lines. I have never taken a cruise — or anything bigger than a several-hour canal or river tour through a city — but I know they’re popular, and there are big differences between the ocean liner “floating cities” and river cruise boats capped at 160 passengers. If there’s anything you’d like me to write about in terms of travel for people with disabilities, or specialized travel in general, please leave your questions and ideas in the comments. It’s been ages since I booked a trip through a travel agency. I’d like to do so again. Thanks for another informative post, Lyn. We almost never book trips through travel agencies. The only time we’ve done it is if that’s the only way we can access a given site, like the time we took a nature tour in Argentina. This is how Logan and Madison went to Nashville. Logan is a very independent-minded traveller. I may also have seen information on Vegas as well. And the author also points out that leaving a location is important. I might have a few questions about legalities and securities on travel. I am one who uses online resources when she can like Traveller.com.au and Telegraph and Guardian. And Trekksoft has some good stuff. I thought the nature/Argentina connection was interesting. There is an agency a few suburbs away from me which does South America in particular. And there is a woman based in Israel who writes Globetrotting with Autism. Or Autistic Globetrotters. Thank you for these resources, Adelaide! I will have to check into them, because I’m planning many more posts on autistic travelers, both adult travelers and families with children on the spectrum.